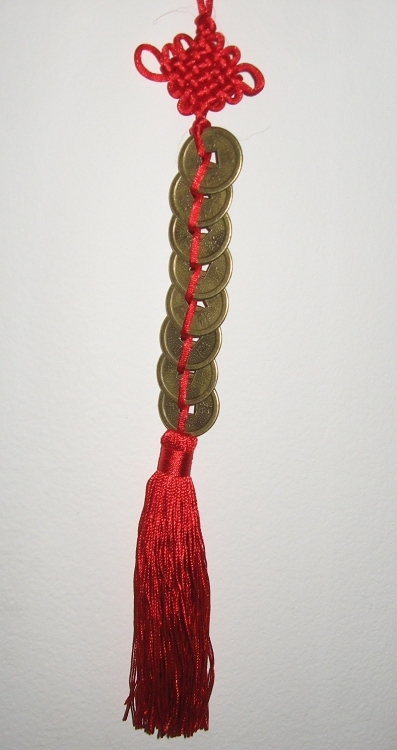 This Chinese Money Hanger has eight Chinese Coins. 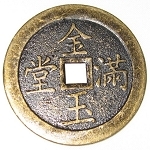 Patt is the Chinese word for eight. 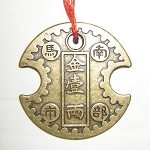 Patt means prosperity. Therefore you will be prosperous. 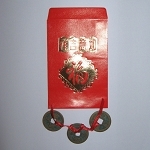 The Chinese Coins are tied together with red silk cord which helps strengthen your ability to acquire and retain wealth. 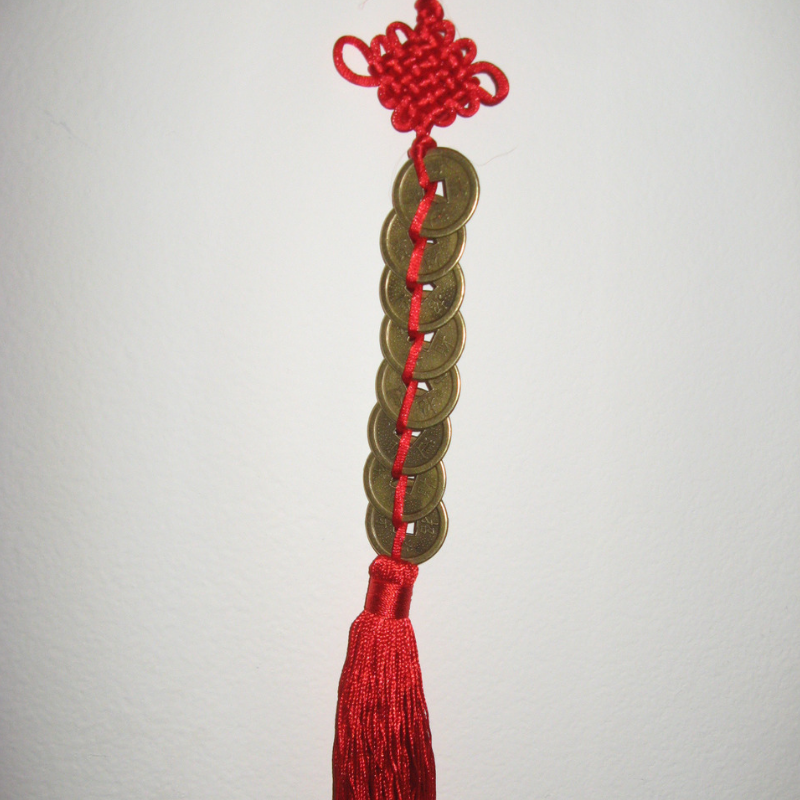 The Prosperity Coin Hanger also includes an authentic Silk Chinese Mystic Knot, and a red tassel. 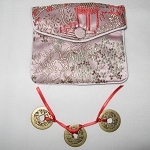 The Mystic Knot will bring you everlasting love, good health and long life, and protection from all negativity. 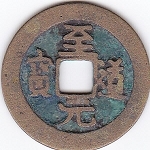 Approximately 14 inches long.